Born of the concerted thinking of an entire profession, Le Thiers ® is named after its eponymous town, the French capital of the knife-making industry. For the first time ever in this industry sector, its fabrication was governed by the rules of a guild mastership. Credentialled Master Cutlers (Maîtres Visiteurs) audit production sites to ensure that the guild’s rules are fully complied with at each stage of the fabrication process. The “Le Thiers ®” par Le Sabot” brand is a registered trade mark. 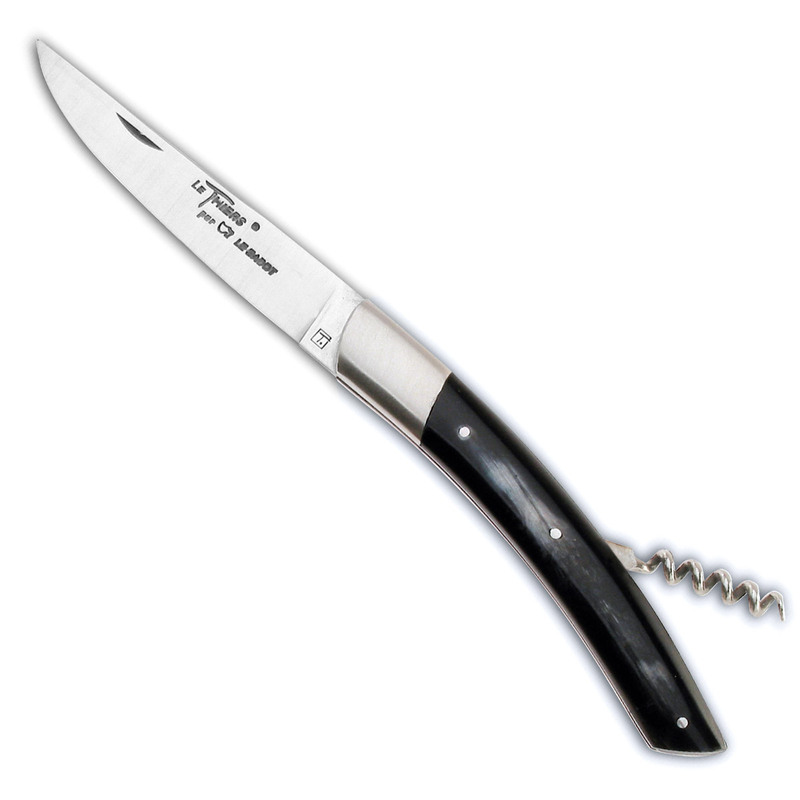 This logo certifies that the knife has been produced by La Coutellerie Au Sabot. 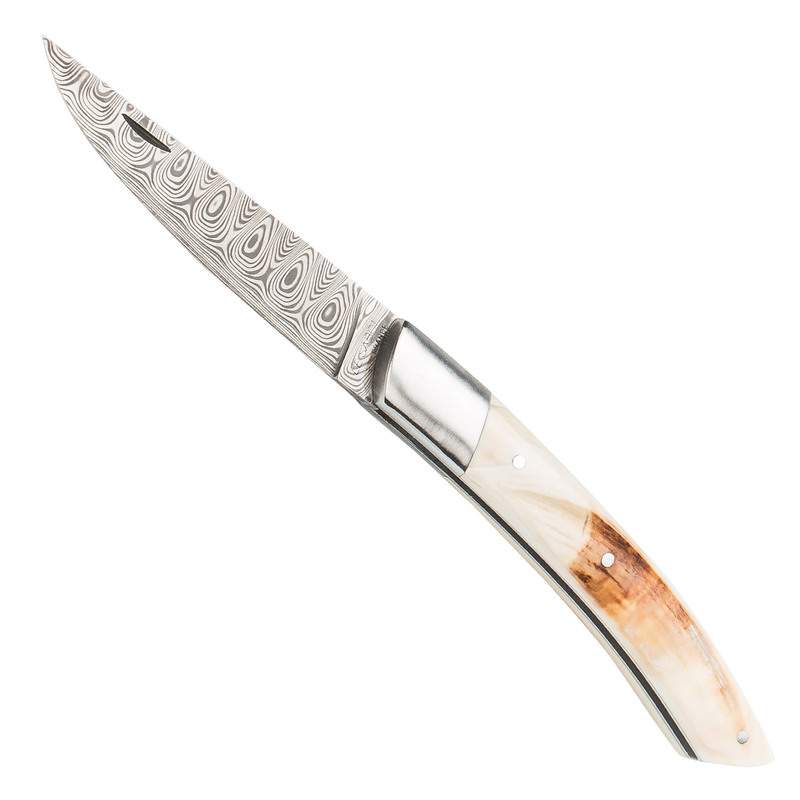 For lovers of exceptional craftsmanship, this Le Thiers ® knife has a Damascus stainless steel blade decorated with Odin’s eye motifs. Delivered in an oak case and accompanied by its warranty certificate. This knife is fitted with a mechanism that blocks the blade in the open position. Embrace a timeless style with the Le Thiers ® Collection Ton sur Ton. Collection Haute en Couleur, ideal for someone looking for sparkling, graphic, stylish and fruity colours. 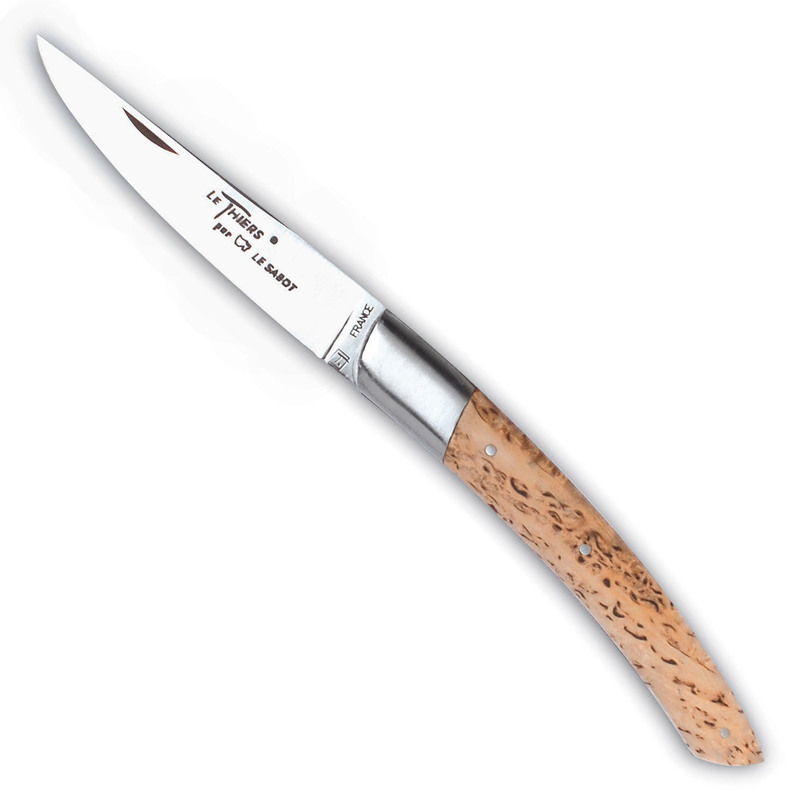 A knife and its sheath presented in an attractive gift box is the perfect present for someone or for yourself. Full-grain leather sheath, colour matched to the knife, ideal for slipping into a handbag. Le Thiers ® with diamond-shaped decorative pitting on the handle for a more customised finish, hand-chiselled spring. 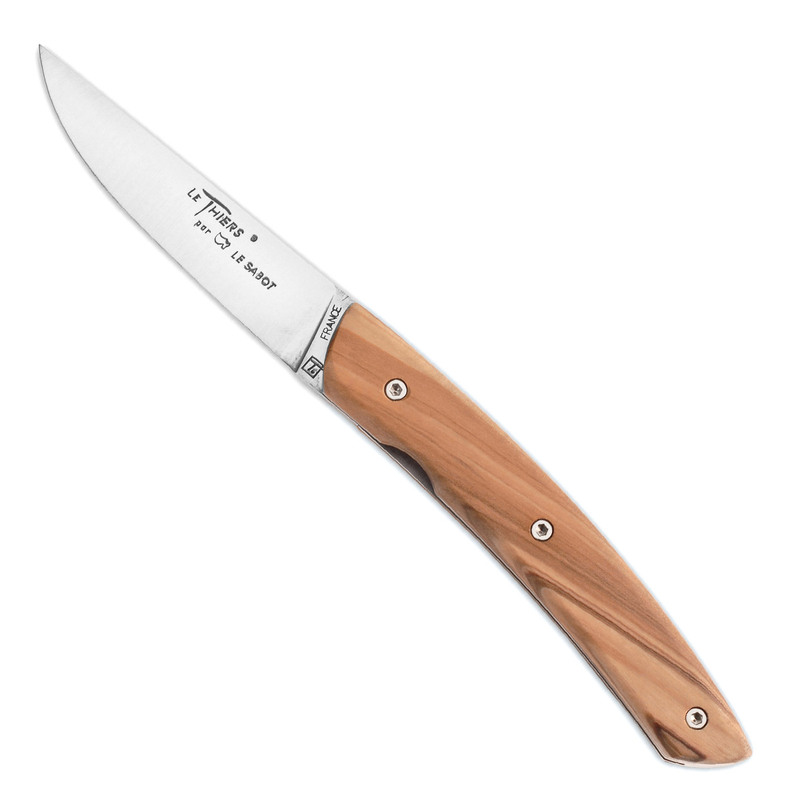 A sleeker version of the Le Thiers ® knife. Traditional design with a corkscrew.